T2 springs, which is about a inch. ^^^ so if I ran this same tire set up, with no drop, and no spacers, would this still work. Would it it rub at all? would it look bad? the front might have problems with the fender being at stock camber. If you have adjustable camber, then it will fit no problem. You need probably at least -1.5 to avoid contact with the fender. thanks Axelerate appreciate the help! The primary reason that I went to 17" wheels for track usage only is the price of 17" tires is MUCH CHEAPER than 18" or larger tires.......plus 17" track and street tires selection is much broader. And by going with a square setup, I can maximize tire wear by rotating them frequently...again..all to save money. And yes, this would work fine on the street...i looks very cool if you car is lowered, otherwise it would look odd with all the tire-fender gap. BTW: Running 17x9 and 17x10 sounds like a good way to go on the street! I doubt any front spacers would be needed. 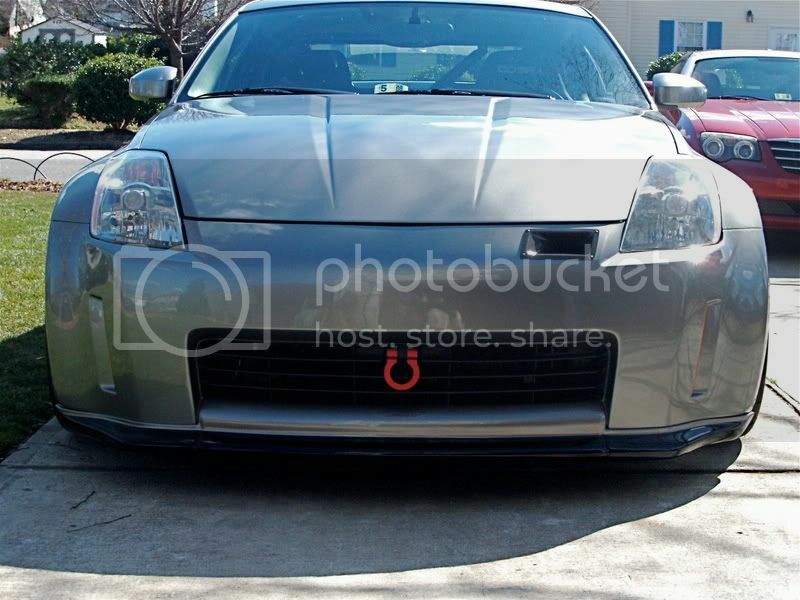 Check out Edge racing, they appear to be a very reputable company, and helped me out on the phone when discussing using this "non-standard" setup on the Z....my full wheel/tire/mounting/shipping was about $1650. PM me for full details. Does that price include mounting and balancing? nice...any issues with brake interference with the 17x9 +35 front? brembo? +35 is not the ideal offset for these wheels front or back. Less offset will give you a wider track, more suspension clearance and will be pushed out closer to the fender. I have the FN's in this size as I run them on my 300zx also, but I use a 3mm spacer to keep the tires off the uprights and even then I get a bit of rubbing at times with 275/40/17's. I was buying them solely for the 350z I'd likely get the +15's for the front. No Brake clearance issues with 17" wheels and Brembo's....but my 17x10 ET 25 ALMOST hit the suspension upright...I added a 3mm spacer just to give me peace of mind. And yes I passed the car behind me (996 GT3) he waved off the point by on the straight because he couldnt stay with me in the brake zones or roller coaster. He was on big slicks also and both of us are instructors. I had no clearance issues and enjoyed the new grip and less side wall flex. I was very impressed with the NT01's. They only took about a lap to warm up in 40 degree temps and I was hitting consistant 2:20's even with passengers, cold temps, and a very dirty and slippery track surface. Last edited by Axelerate; 02-28-2008 at 08:03 AM. Here's the front end with no tape. I recently had my hood and bumper re-sprayed and shaved off the emblem. Had him paint the V1 lip two tone also. My current Azenis are just about shot so I need to start looking for some new autoX tires and I'm considering Azenis again or the RE-01R. Is there anybody else out there that has used the Azenis and switched to the RE-01s that could add some additional feedback on their experience? Dave,I really like my RE-01Rs,they have held up to plenty of abuse I've run them at the Evolution school,a local autocross on asphalt,a airstrip concrete autocross at Columbus MS and about 4000 hard street miles with very little wear.They are not as sticky as my Hoosier A6s,but they are a damn sticky street tire.Azenis were not an option for me because they don't make a 19" tire.If I were shopping for streetable rubber for 18" wheels I would also consider the new Toyo R1-R and the new Kumho XS,both of which are new designs meant to compete with the RE-01R. Azenis for one reason, price. I think the RE-01R are a better tire but costs a considerable amount more.